WASHINGTON, DC (March 7, 2019) – On this day before International Women’s Day, Iraq and Afghanistan Veterans of America (IAVA) Chief Executive Officer, Jeremy Butler testified at a Joint Hearing before the House and Senate Veterans Affairs Committees. He focused on IAVA’s “Big 6” policy priorities, including recognition and support for women veterans – a policy priority that is not shared to the same degree among the other major Veterans Service Organizations (VSOs). 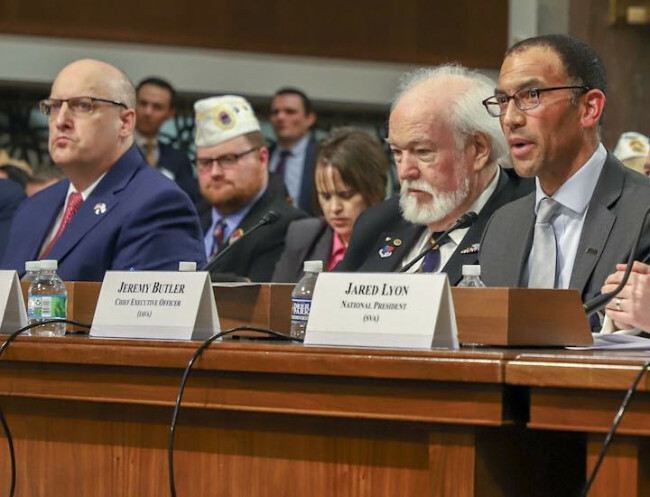 Although care for women veterans came up a number of times during the hearing, no other VSO joined IAVA’s call to change the VA motto to signal an era of greater inclusion of, and respect for, women veterans. Three major topics came up during questioning: care for women veterans, the GI Bill, and addressing veterans suicide. 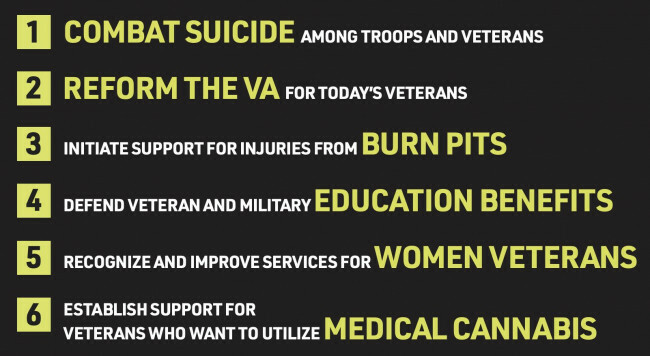 Those three issues are long-standing top priorities for IAVA and as the leading VSO representing the post-9/11 generation of veterans, IAVA is uniquely positioned to provide feedback and advice on these major issues facing today’s veterans. On the Hill, IAVA is currently championing the Burn Pits Accountability Act, the VA Medical Cannabis Research Act, the Deborah Sampson Act, and a soon-to-be-introduced bill that would make the motto of the Department of Veterans Affairs gender-inclusive. Tomorrow IAVA will be finishing up “Storm the Hill,” a week of advocacy on Capitol Hill aimed at championing all of IAVA’s policy priorities. IAVA’s campaign on behalf of women veterans is called She Who Borne The Battle.